When I wrote my weight-loss series as a guest for Jason, his bio of me at the bottom of my six-part series included some of my achievements and included the phrase, “Stephen is a Boston Marathon qualifier”. In January of 2014, at the Louisiana Marathon, I had indeed become a Boston Marathon qualifier. As I rounded the corner and neared the finish, I looked at the clock and knew I had achieved my goal of qualifying for Boston. I qualified by 44 seconds that day. For those unfamiliar with my weight-loss articles, early on in my running career, marathons and I simply didn’t get along. In fact, I actually walked off my college team as a freshman when I was told I needed more endurance and would be training for a marathon. I was a miler and had no interest in training for a marathon. It seemed ridiculous to train for a distance where I would not compete. As the years passed, I always regretted my unfinished business. Truth told, as a kid, I had always watched in wonder as the great athletes competed each Patriot’s Day in Boston. I had always dreamed of competing in Boston almost like every young boy dreams of becoming a professional baseball player, president, or fireman. Every year growing up, I would always watch the results in Boston but knew I was built more for sprint than for distance. I was not a marathoner but that did not stop me from daydreaming of running past crowds and completing a marathon in Boston. I did not run again until June 2012 when I took up running at the urging of my wife. I had gained weight and needed to reclaim my health. I worked hard, lost over 50 pounds and enjoyed my new lifestyle. I became a road runner. 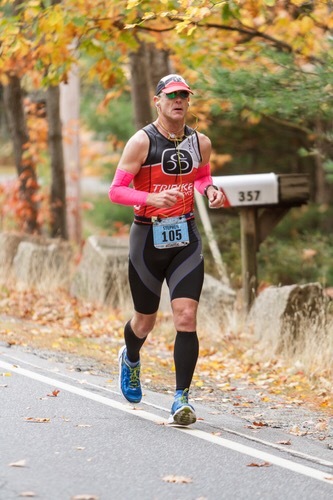 I also completed my first marathon in October 2013 at the Mount Desert Island Marathon in Maine, a course noted for being one of the harder marathon courses in the nation. When I completed my first marathon, I realized I could indeed qualify for Boston with more effort and work. I quickly set my sights on a qualifying bid in Louisiana three months later. I chose Louisiana because I grew up in Baton Rouge, and Louisiana is hallowed ground to me. I knew the course would be flat and fast. 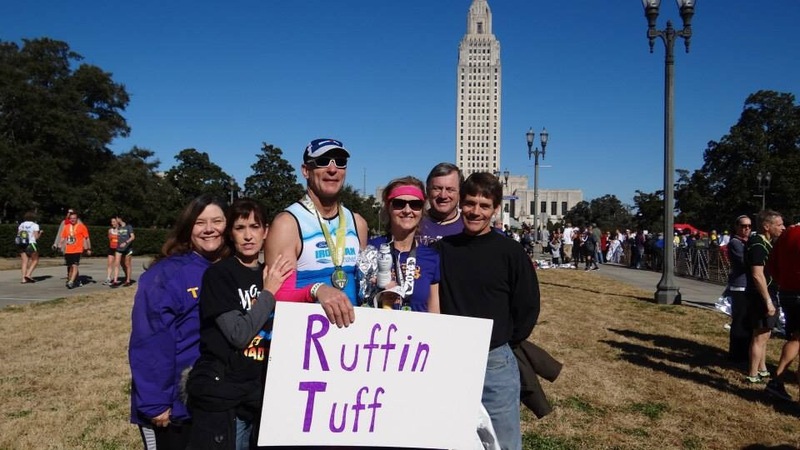 Fast forward to the finishing chute at the Louisiana Marathon where my family and friends were waiting on me; as I entered the chute I fist-pumped the air and screamed “Boston!” My wife was actually inside the chute and hugged me, and my friends surrounded me in triumph. I stood there with my hands in the air victorious in my qualification bid. I would be going to Boston! As Lee Corso would say, “not so fast my friends”! Just because you qualify for Boston does not necessarily mean you are GOING to Boston. Registration is done in a rolling wave according to how much time you were under the qualifying time and how many people register. 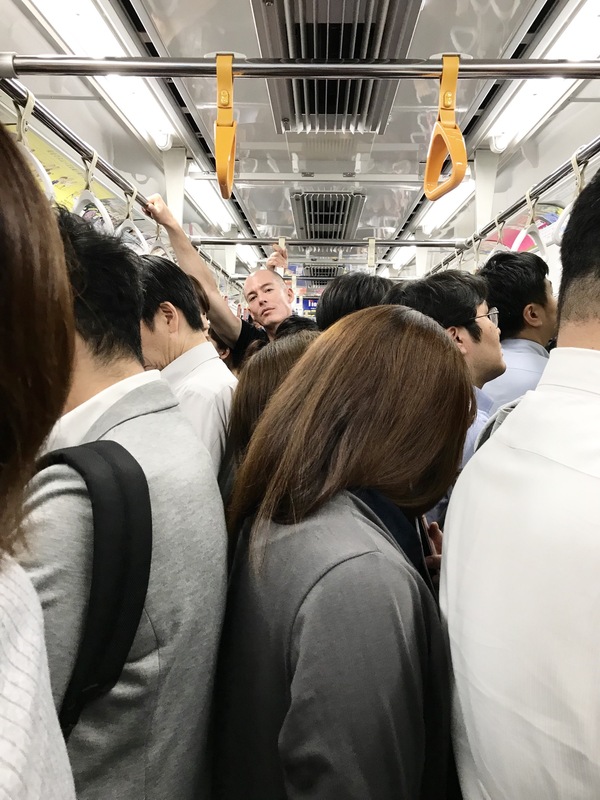 Being only 44 seconds under, I was on the cusp. I was on the couch with my wife when I received the email from the B.A.A. As I excitedly opened the email my eyes were instantly drawn to the word “regrettably,” and I realized the email would not be good news. As I read the email to myself I said out loud, “sounds like you are just going to have to run faster”! My wife turned to me and I informed her I would not be going to Boston. I actually missed going to Boston by 18 seconds. Because so many had registered, the cut off became minus 1:02 and I was only minus 44 seconds. I thought back to that day in Louisiana and knew I had 18 seconds in me. I had coasted the last mile into the finish chute assured I had qualified. Boston qualifying for 2015 was over. I would not be going and there was nothing I could do about it. I had to tell all of my family and friends that I was not going to Boston after all. It was embarrassing, but I decided to use my disappointment as fuel to achieve my goal. I knew Boston qualifying had already begun for 2016. 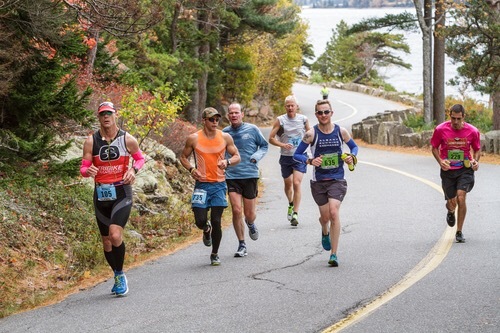 In addition, I was already entered in the Mount Desert Island Marathon which would take place in October just one month after receiving my rejection email. I decided I would make my qualification bid at Mount Desert Island. I immediately posted it on Facebook. I told all my family and friends. I did this because it held me accountable. There was no turning back. It seemed “right”; after all, my very first marathon was at Mount Desert Island. Immediately my wife began to question me and asked if I shouldn’t use an easier course. She reminded me that MDI was one of the hardest courses and was known for relentless hills. I had made up my mind. In a way, part of me looked forward to the punishment of the course. Maybe I figured I deserved it for assuming I qualified in Louisiana. I simply told my wife “it will be MDI” every time she asked. Dawn broke October 19, 2014 in Maine on Mount Desert Island. It was cold, overcast, and misty. We arrived at the start early. We gathered with several athletes in front of a coffee shop to stay warm. I overheard my wife telling another couple, my husband is going to qualify for Boston today. I had to choke back tears because I realized at that moment, she truly believed in me. Right then I knew I could accept no other outcome for the race. We made our way to the start. The National Anthem was played and a prayer was said. Then in one of the most iconic starts of a race, as it does every year, “Thunderstruck” began to blast from the loudspeakers. It was go time! Seconds later the cannon went off and I began my race. It would not be a race against others. It was a race against what I had failed to accomplish. I had held myself accountable for the result by telling all of my family and friends this would be my Boston-qualifying attempt. I executed my race plan and followed my pace. At mile 17, making the turn at the only fjord on the east coast, I came directly into 30 mph headwinds. I hugged the rock cliff wall as close as I could and began to repeat aloud, “BOSTON.” I put my head down and picked up my pace slightly. My plan was to follow pace and not allow myself to “race” until mile 20. Mile 20 is the beginning of a 4 mile long hill. It breaks hearts. It comes at a time when you are spent. As I passed the 20 mile marker, I said loudly where other runners probably thought I was delirious, “18 seconds from Boston no more”! I began to repeat “18 seconds” to myself over and over out loud. I passed three little children holding out their hands wanting a high five. I was hurting but had to high five them. They were there supporting us and just maybe had dreams themselves of one day completing their own marathon. At mile 24 someone in a gorilla suit was giving runners high fives. I gave him some high-five love too. He was probably warmer than the rest of us were. I was hurting but felt alive. I was racing now, and it was on my terms. As I drew near the finish I began to smile but kept my foot on the gas. When I finished I looked at the clock. Tears streaming down my eyes, I realized I had qualified for Boston by 12 minutes and 14 seconds. There were no fist pumps. There were no friends at the finish. There was simply immense satisfaction in achieving my goal on what is a very difficult course. The runner behind me came up to me and said, “Awesome job man, I have been trying to run you down for miles”. I thanked him and congratulated him for a well run race. I then told him, “I’m not really a marathoner, I am more of a sprinter”. He looked at me and corrected me and said, “Like hell you’re not a marathoner, you just smoked this course”. I realized at that moment that I AM a marathoner. I can accomplish what I choose to achieve. As I exited the finish chute the race director came up to me and said, “Nice Job. I will see you in Hopkinsville”. Both of us understood the implication: it is where the Boston Marathon starts. I learned from my disappointment that anything worth accomplishing is worth putting in the effort. Holding onto disappointment is unhealthy. Compartmentalizing your disappointment into an imaginary drawer and pulling it out every once in a while to use as fuel is fine, as long as it is put back into that drawer. Leave it in the drawer and only use the memory and feeling when you are working to achieve that greater result. Do not let disappointment define you; remember, it is in the past. We only have control of the present. We cannot change what has happened but we have the ability to learn, grow, and do greater things if we are willing to be forged from our past. You will be faced with challenges. You will have victories. You will also have disasters. That is all a part of the cycle and fabric of life. Use disappointment to your advantage and never give up on your dream.